For clear, feminine simplicity, women wear Burberry Eau de Parfum spray. 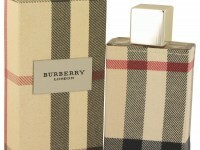 London's Burberry fashion house introduced this fragrance for women in 1995. 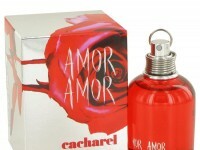 The scent starts with a top note combination featuring sweet black currants and fresh peaches and creates a heart that highlights smooth sandalwood and sweet jasmine. Vanilla complements other base notes for a delicious end to this fragrance. Include this eau de parfum spray in your fragrance wardrobe, and wear it strolling through the park or powering through a full day's agenda at work.